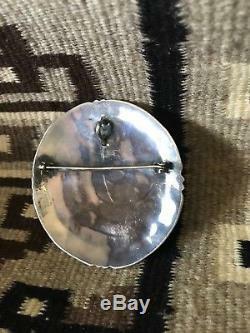 Monster-size (3) and heavy (2.4 ounces) overlay, sterling silver pin/pendant combination. 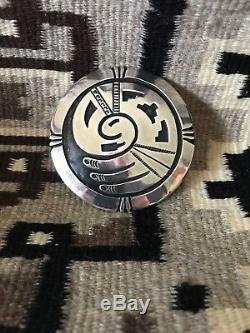 The design is a stylized bird motif, reminiscent of some on old Native American pottery. 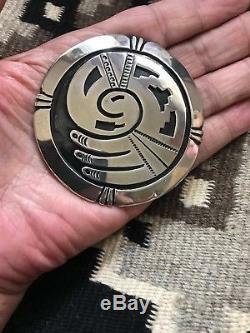 I believe this is Hopi-made, but there is a small possibility it is Navajo. It is not marked on the back. 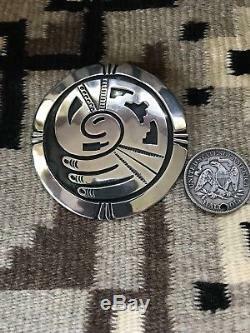 Early Hopi overlay did not include stippling on the underlay silver layer, and this one is not stippled. The border is finished with four sets of filed notches that helps orient the image. This is a very unusual, large version of a highly stylized bird... 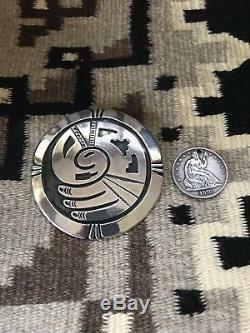 The item "HUGE 3 inch Hopi design sterling silver overlay bird pin / pendant" is in sale since Wednesday, August 8, 2018. 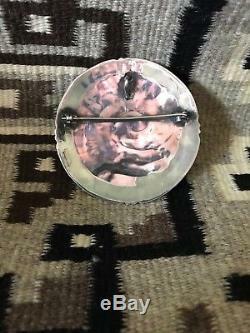 This item is in the category "Jewelry & Watches\Ethnic, Regional & Tribal\Native American\Necklaces & Pendants"." and is located in Washington, District Of Columbia.